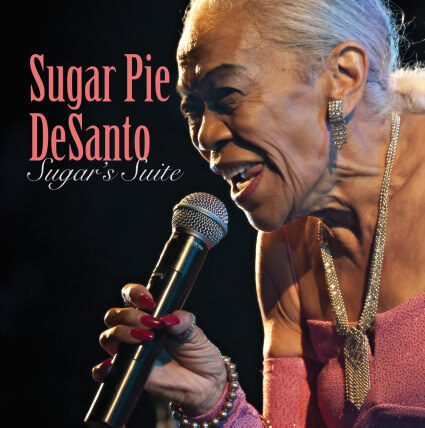 The Garden is honored to present legendary soul artist Sugar Pie DeSanto. A fiery, sassy vocalist known for her electric live shows (including somersaults onstage! ), Sugar Pie recorded a stack of records over her career which still to this day ignite dancefloor mayhem – including “In the basement” and “Do I make myself clear” which she recorded with cousin Etta James, “Go go power”, “Soulful dress”, and too many others to count. Born in San Francisco, and dubbed “Little Miss Sugar Pie” by bandleader Johnny Otis when she made her recording debut with him for Federal Records in 1955, DeSanto is far more than a great blues singer. She’s also a first-class soul singer, a commanding jazz stylist, an uproarious comedienne, a show-stopping dancer and an expert tunesmith. For R&B and soul music that comes alive, you can’t go wrong with CDs from us. Jasman Records Inc. is an Oakland, California, label proudly promoting Sugar Pie DeSanto, an award-winning artist providing R&B and soul music everyone can enjoy.